Superior grade cast bronze with decorative ebony shaded bands. 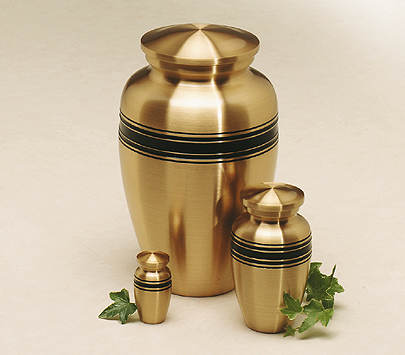 Urn surface is engravable at an extra charge. Also available in two additional sizes: Extra Large (For dogs) and keepsake. Cat urn is shown bottom right of photo.